The brand-new BNP Paribas Open “Garden Party,” a free event open to the public that will serve as the official kick-off to Tennis Season in the Coachella Valley, will be held at the Gardens of El Paseo on Friday, January 26 from 3:30 pm – 7:00 p.m., and all fans are welcome to attend. To celebrate the beginning of several exciting, tennis-filled months in the area, the BNP Paribas Open will be hosting a Garden Party to offer attendees a snapshot of Tennis Paradise. The event – which is part of a larger “Full Bloom” thematic for this year’s tournament – will provide food and beverage from a variety of vendors and activities ranging from a trivia competition to table tennis to lawn games. Fans will also have the opportunity to take their photo with the Official BNP Paribas Open Baccarat trophy. The event will give attendees a preview into the men’s and women’s player fields at the 2018 BNP Paribas Open, and conclude with live music, beginning at approximately 6:00 p.m. Ahead of the 2018 BNP Paribas Open, taking place March 5-18, 2018, the tournament has launched a brand-new partnership program for local businesses to get involved in the region’s largest sporting event and spread the excitement about Tennis Season in the Coachella Valley. Local businesses are invited to become preferred partners of the tournament, with special benefits and perks for both the merchants and their patrons. 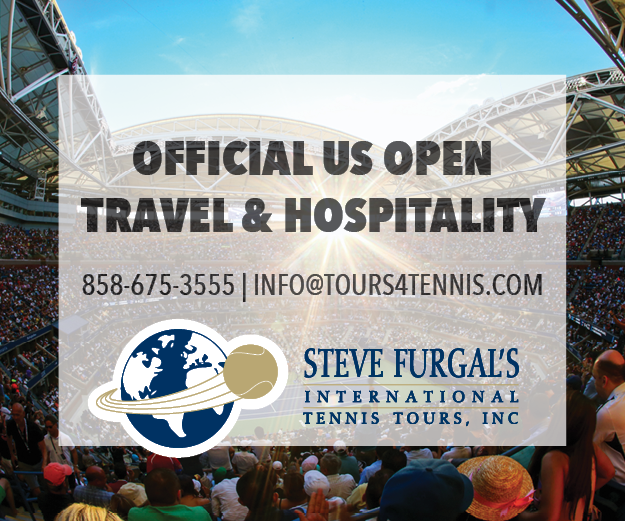 This year’s BNP Paribas Open will highlight the world-class tennis players that participate in the event woven into the natural beauty of the desert landscape; as well as the physical attributes of the Tennis Garden – one of the most picturesque venues in all of sports. Ahead of the 2018 event, the site is undergoing a full-scale beautification project that emphasize the lush, green environment that make the Tennis Garden truly feel like a garden blooming to life. Additional activities and special guests will be announced over the coming weeks. Local Coachella Valley favorite Wilma & Frieda’s Cafe will also be providing samples during the event. They will be serving attendees in front of their restaurant at the Gardens, with offerings from their fabulous menu loaded with breakfast and brunch dishes. Two local acts have been confirmed to entertain Garden Party attendees throughout the event. Southern California native DJ Tim “DaCapo” Hampton will kick things off with his unique blend of electronic dance music, hip-hop, trap and underground styles. He is an area DJ, Music Producer and Remixer whose performances delight audiences of all ages and musical preferences. At 6:00 pm, the Killer Dueling Pianos will take to the stage for a performance that is sure to get everyone clapping and singing along. The fully interactive, all-request show will be a great way to wrap up the Garden Party on a high note. Local favorite Wally’s Desert Turtle will provide passed hors d’oeuvres during the event for fans to sample their contemporary California cuisine, along with complimentary soft drinks and water. The Garden Party will be the first chance for attendees to sample the offerings from Wally’s, which is the newest addition to the impressive line-up of dining options available on-site at the Indian Wells Tennis Garden. Beer and wine will also be available for purchase to those 21 years of age and older.